The VR edition of SimLab Composer is designed to turn any model to a VR scene on different devices the user are running, whether it was HTC VIVE, Oculus Rift, Desktop PC or a Mobile device. In addition, it supports panoramic images, and Augmented Reality through our AR Viewer. Simlab Composer VR will not only turn your model into an interactive VR scene, but it contains advanced animation and VR capabilities that will give you all the needed tools to create various VR applications from selling your designs to facilitate training; no matter what CAD application you're using or what's your 3D skill level. 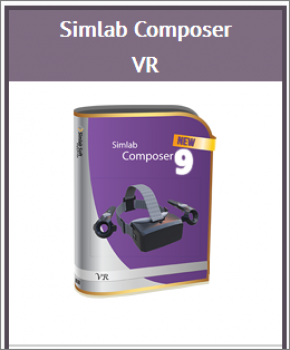 As a 3D software solution, this edition of SimLab Composer includes workbenches for commercial and noncommercial uses anywhere. Included workbenches in this edition are: Sharing, Rendering, Animation, Texture Baking and VR.